Diwali is one of those occasions when your house is teeming with delight and excitement, anticipating the frolic and gifts you are about to have. Diwali has become a pan Indian festival, celebrated by all religions with equal fondness. More celebrations mean, more gifts and sweets to give and exchange. If you have been thinking of getting something delightful for all your loved ones but are a little short on budget, we have some great gift ideas to help you out. Bikano’s budget gift hampers comprise of the most delicious Indian sweets and namkeen packs, making them ideal for festive meetings and greetings. This Diwali Gift Hamper is packed in a vibrant light blue package, containing a mix of India’s most beloved sweets and namkeen. Be it the tantalizing Rasogolla or the evergreen Soan Papdi or Badam Lachha, the Anmol Gift Pack has them all clubbed together with the spicy Aloo Bhujia to make one of the best Diwali gift hampers ever. Well, that is how you describe an Indian festival, and that is what this Diwali gift hamper is all about. 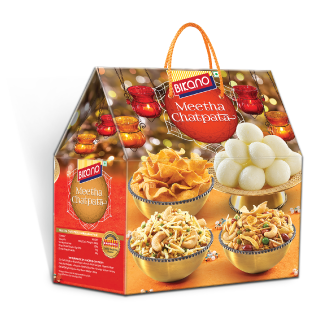 The Meetha Chatpata Gift pack is a mega mix of Rasogollas, Aloo Bhujia and Kaju Mixture. These premium Indian sweets and namkeen packs make it a unique Diwali gift for your loved ones. A Diwali gift for those with a discerning taste and of course, a secret sweet tooth. 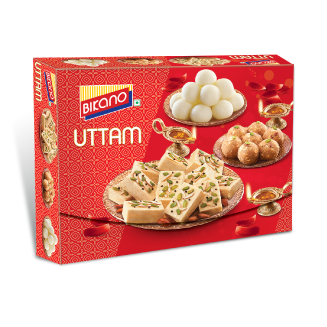 These Indian sweets Uttam gift packs contains a Rasogollas, Panjeeri Laddus and Soan Papdi, all things that spoil your tastebuds. 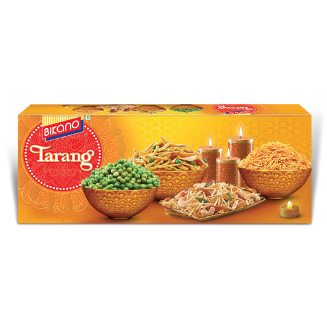 For evoking a wave of excitement and delight, this is a must buy Tarang Diwali gift pack. It contains an assortment of royal sweets and namkeens like Chikkis, Almonds, Rasogolla and Nut Mix. If not Tarang, then Umang can be all the things you crave during a festive celebration. 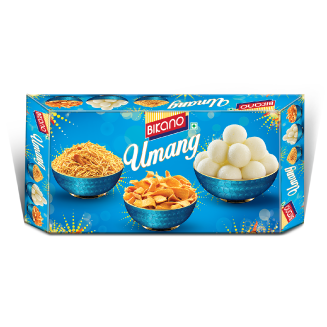 Combining the unique taste of Bengali Rasogollas with Bikaneri Bhujia, the Umang gift pack for Diwali also adds the scrumptious Crunchy Munchy to the mix. 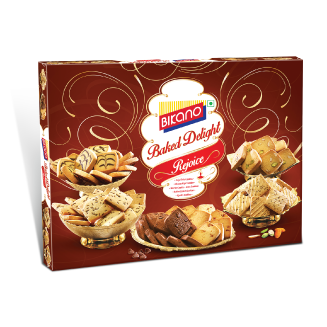 A Diwali gift hamper to light up tea time conversations, the Baked Delight gift pack has an exclusive collection of cookies from the house of Bikano. 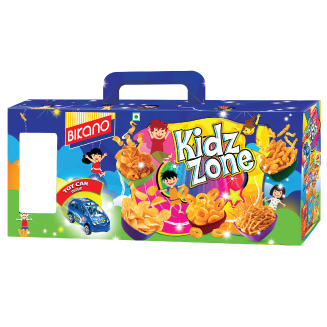 Something to delight the young ones in the family, this Diwali gift pack for kids is custom made and includes a gift as well. Containing an assortment of kid’s favorite sweets and namkeen packs, it is the quintessential gift pack for Diwali celebrations. 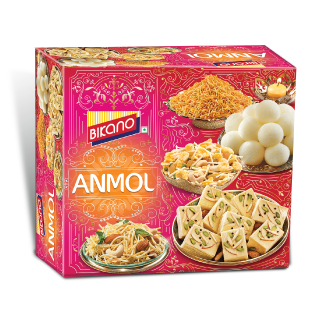 All our Diwali gift hampers are now available from the Bikano online sweets shop. Simply visit our website: www.bikano.com and select Gift Packs to explore all the delightful little packages we have created for you. We ensure timely delivery of all orders placed through our online Indian sweets shop and do a thorough check of packaging and quality before sending them your way. So, what are you waiting for? Place your orders now and kick-start the festive fervor well ahead of time.